In 1997, Chris George and I got together, to watch a wrestling pay-per-view. 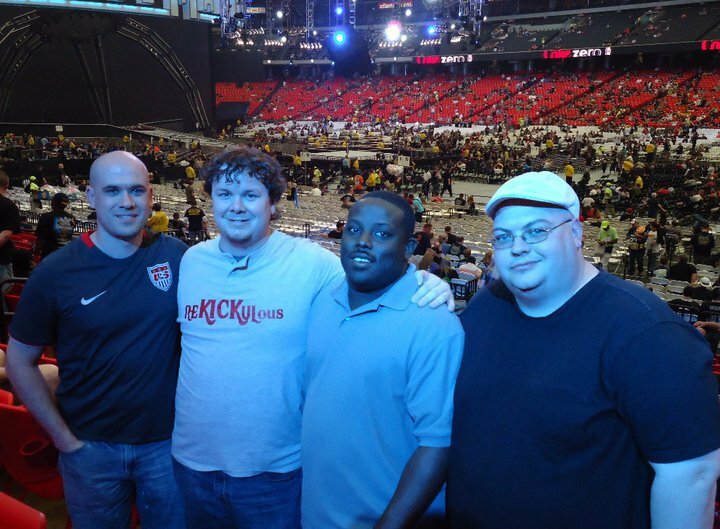 There were several of us that day, and as the ppvs went on that year the people came and went until November, when David Wilhelm and Jason Oldham joined up. Since then, the four of use have been the core of our viewing audience. Jason has since moved away and now it is just David, Chris, and myself. Over the years we began to talk about anything and everything. We saw people have talk-shows and radio-shows and thought, “We can do that.” So it’s no surprise that yesterday, before the 2014 Royal Rumble the idea was thrown out, “Why don’t we have a podcast.” Now, we do. This show will focus on wrestling, but it will probably cover sports, movies, TV shows, and who knows what. It may not be public opinion and it may be way out there some times. Only one rule holds, if its talked about in my living room, then we may, and probably will, talk about it. So I ask you America. Are you ready?